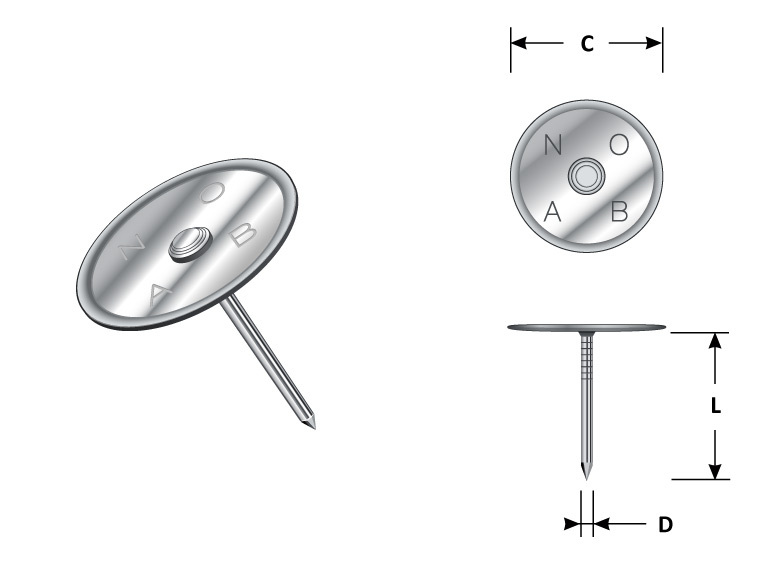 This fastener is used to provide support (quilting) of the insulation material in a blanket or removable pad. 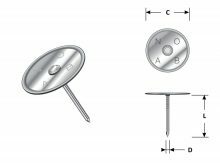 Quilting Pins are normally used, in addition to Lacing Anchors, to fabricate blankets and are secured with a self-locking washer. Also available in head diameters of 1-3/16″ and 1-1/2″.